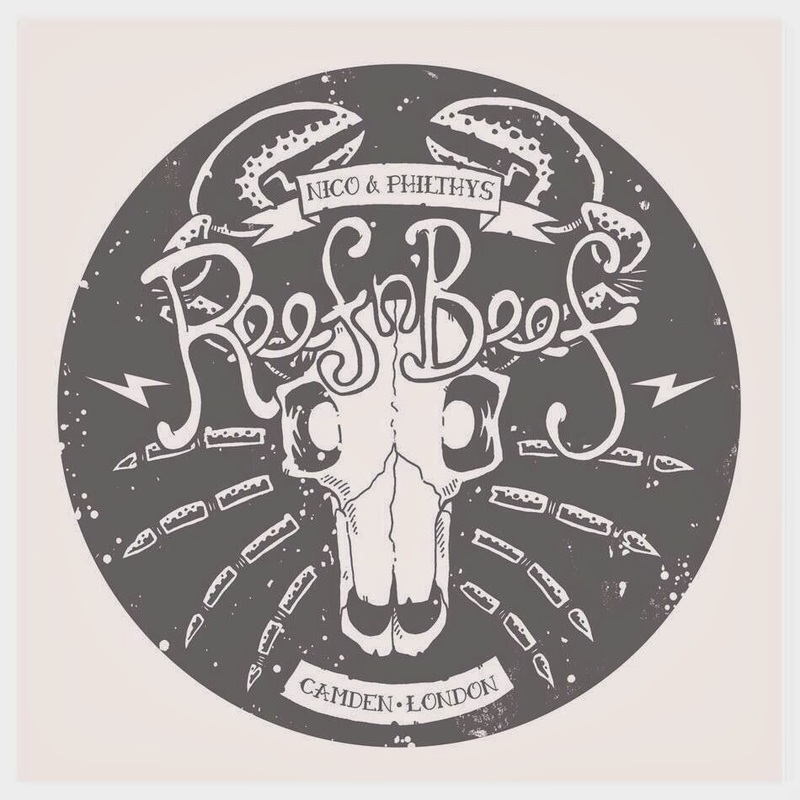 Nicos Popupsalot is back with a two night stint at The Dandelion Cafe in Camden Parkway, with his mate Philthy Phil, in what they're calling Nicos & Philthy's Reef & Beef. A bit like surf and turf, but with their own twist, so you get steak and lobster, but also a full a la carte menu of other things including pulled pork profiteroles, roast hake, and deep fried halloumi. I've eaten Nicos' food a couple of times before, and i'm definitely going to go to this! 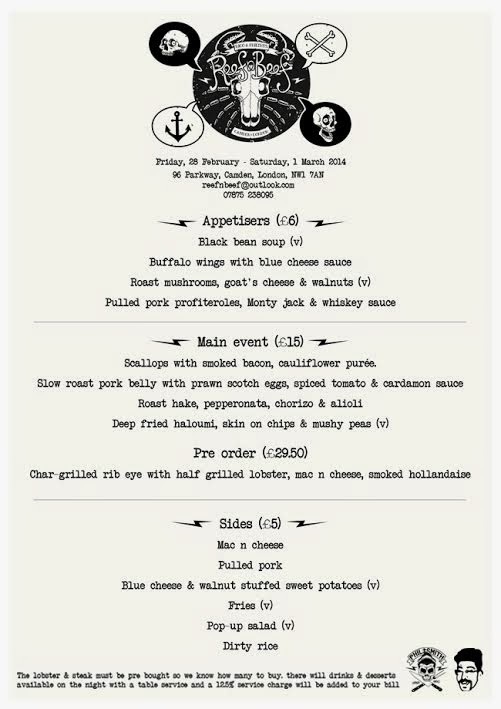 "A night of grilled meat, shellfish, Rock n’ Roll & hard drinkin!! Come and enjoy a great menu of meat & fish with some great music. Either pick from the menu on the night with main courses at £15 per head or pre order for the rib-eye steak & half grilled lobster. The lobster & steak must be pre bought so we know how many to buy. there will drinks & desserts available on the night with a table service and a 12.5% service charge will be added to your bill."